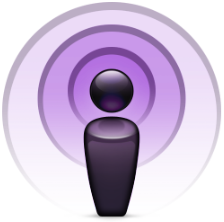 Podcasts (and Vodcasts) enable audio and video information to be saved, shared and serialised for use from the Internet and on to devices such as mp3 players/iPods and computers. True podcasts include a regular commitment to sharing information, by having the ability to be syndicated or subscribed to via RSS feeds; though the term ‘podcast’ is commonly linked to single recordings as well. If you have iTunes, the procedure is relatively simple. Go to the iTunes Store, select the option for Podcasts and then navigate to the Category for Education (or your area of interest). This will show Featured Podcasts first or you can open All. Thus, you will find examples like EdPod. Once you have found a podcast or two that you like, just click on the ‘subscribe’ button, and follow the prompts. At the moment, there are many language-related podcasts featured here, but there are, if you search carefully, even podcasts for Maths! A similar process is involved when suscribing to podcasts from other Internet locations. Those mentioned above give numerable options, so they won’t be listed here. Searching on EdNa for ‘podcasts’ also provides links with details about using podcasts in the classroom – see for example, Podcasts in the Classroom from CMIS Dept. Education WA for information about accessing, creating and using podcasts. When subscribing to a podcast you have found on a web site, e.g. ABC/EdPod, you need to locate the feed (an xml file), and paste/drag or copy this address into your podcasting software (e.g. iTunes or Juice). Then each time you open this software, it should update your feeds for each podcast, depending on your settings. 1. Check out the podcasts on offer from iTunes – you will need to download iTunes to do this step. 2. Search for ‘podcast’ on EdNa, and comment on useful materials from this site. 3. Examine the offerings at ABC, BBC or complete an online search, and then comment on any valuable findings. I love podcasts. I’ve been using the podcasting services of ABC and BBC for some time to keep up to date with a variety of programs, mainly science, but religion and current affairs as well. I’ve even found podcast sites dedicated to mathematical ideas, and a number of science journals also provide podcasts. A great tool to complement podcasts is Audacity. It’s fairly easy to use and allows me to quickly grab a section out of a longer podcast to share with a student or a class so that they don’t have to listen to the whole thing if there is just one item which is relevant to what we are doing.